With the success of the first Star Wars title in the Build Your Own Adventure - which has already included Friends, City and Ninjago - and Harry Potter in the near future - it was only a matter of time before DK decided to recapture the momentum, and with 2019 a big year for LEGO Star Wars, there isn't a better time. While the book is going through the approval process DK are being tight-lipped about the full nature of the contents. "Want more ideas for LEGO Star Wars models to build? You need this book with bricks that inspires children to build, play, and learn all about the LEGO Star Wars universe. LEGO Star Wars Build Your Own Adventure: Galactic Missions combines action-packed story starters with more than 50 fun ideas for building. Once you have built new creations, play out exciting adventures of your own using your personal LEGO collection. Use your favourite Star Wars minifigures to complete five top secret missions! This book comes with a minifigure and the bricks to build an awesome exclusive vehicle that features in the story." 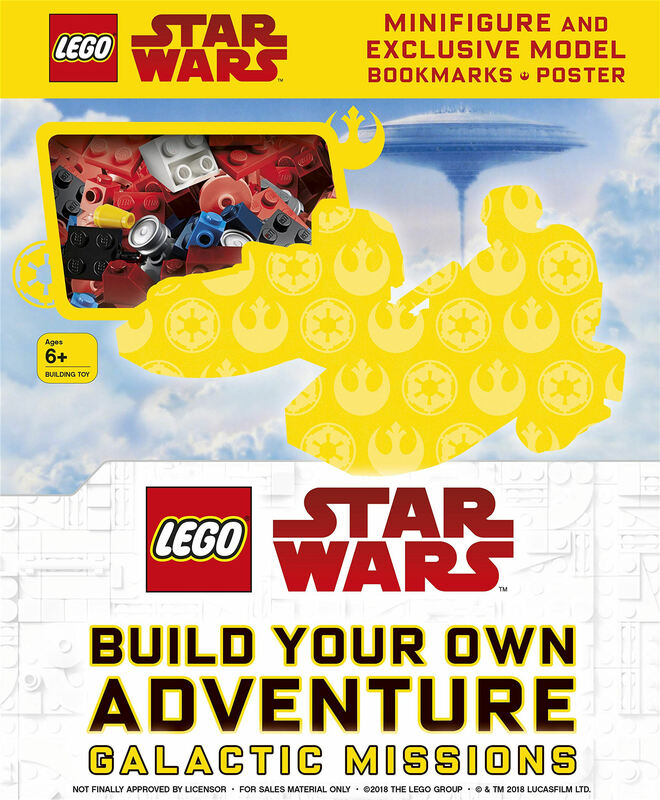 The original book was simply titled "LEGO Star Wars Build Your Own Adventure" but this one has ": Galactic Missions" tacked on to the end of it, alluding to something a little bigger in scale than the last. All the imagery is a placeholder and the cover hasn't been greenlit yet so don't read too much into the Bespin graphics or silhouetted cloud-car like vehicle. This 80 page, hardcover book is due out on August 1st, 2019 and is available to pre-order at Amazon.co.uk (£19.99), Amazon.de (€19.16), Amazon.fr (€24.02) and Amazon.com.au.